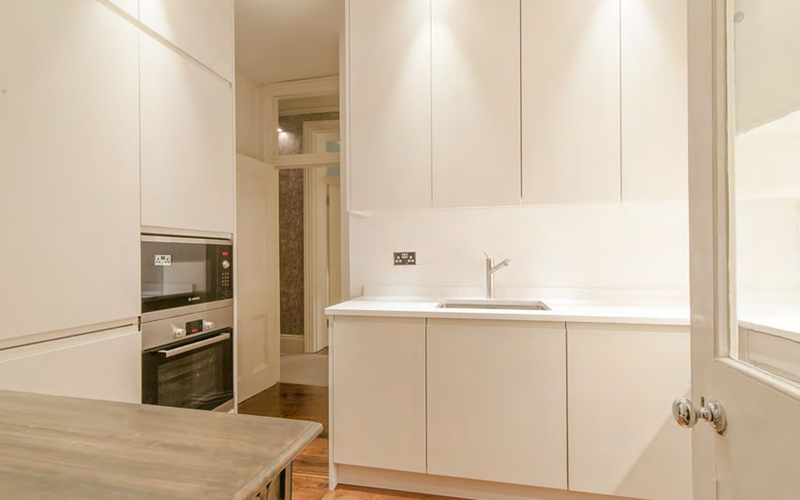 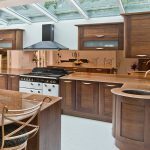 Made to measure kitchen carcasses; precision built in the UK. 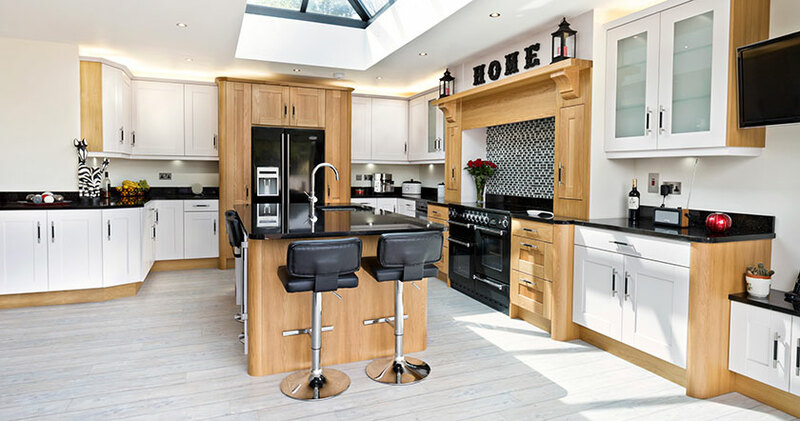 Whether you’re a joiner, builder, architect or kitchen fitter – Basically Trade can provide made-to-measure kitchen carcasses to suit. 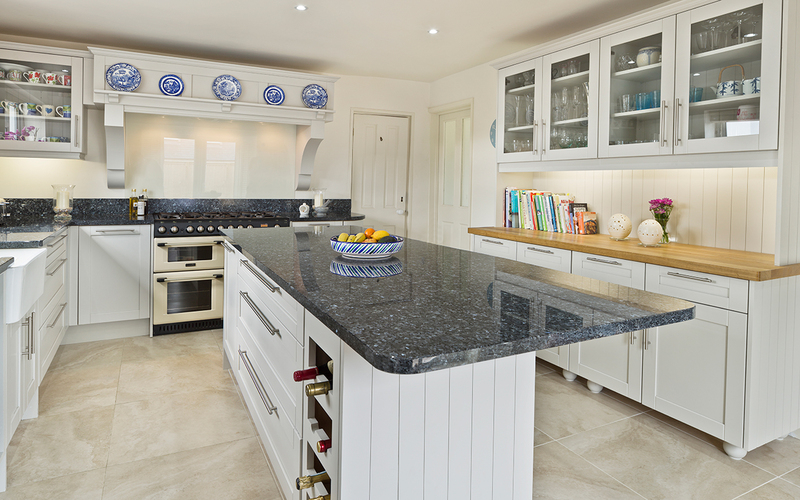 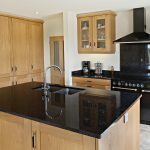 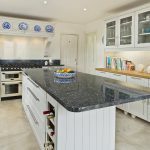 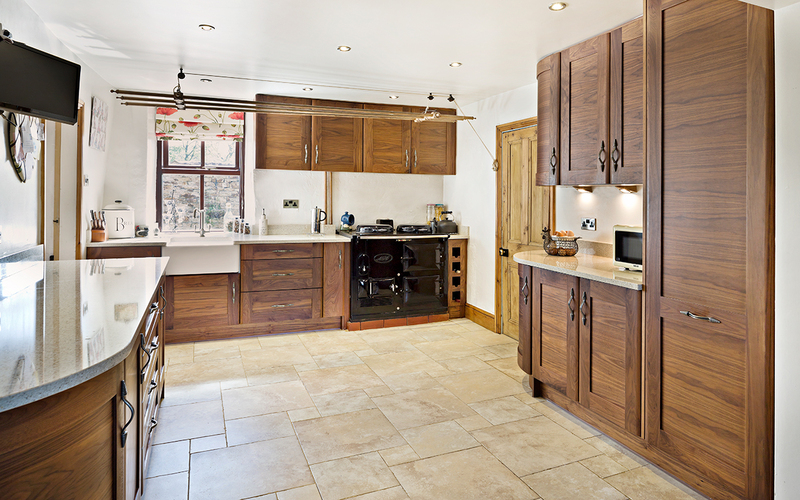 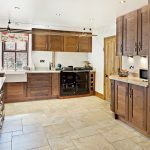 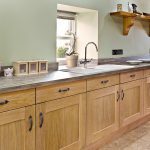 We offer both made-to-measure and standard-sized, colour-matched kitchen carcasses made on site, in Lancashire. 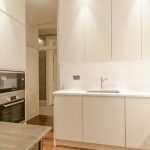 Cabinets can be colour coded to match the chosen doors and plinths, along with 2mm PVC edging tapes, so your project has a perfect finish throughout. 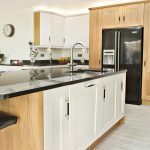 To save valuable time when it comes to installation, we supply all made-to-measure kitchen carcasses fully assembled using rigid cam and dowel construction. 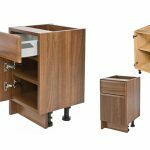 Base units have adjustable height legs and wall units are fitted with adjustable fixing brackets. 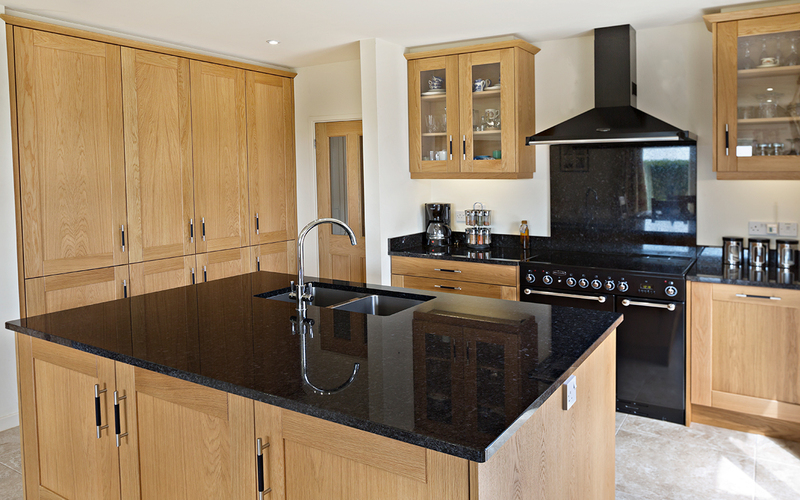 We use BLUM soft close fittings as standard. 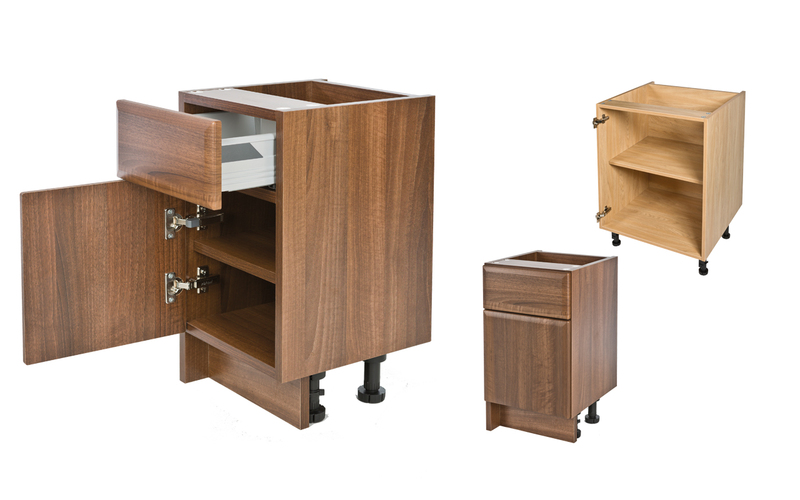 We can offer clear-lacquered, solid timber dovetailed drawer boxes in timbers such as Oak, Walnut, Beech, Maple and Birch plywood. 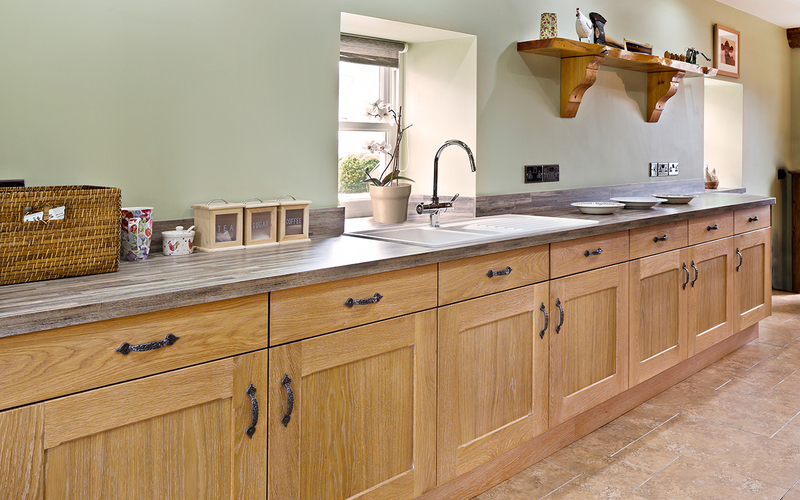 This is an option often chosen alongside our timber lay on and ‘in frame’ kitchen doors. 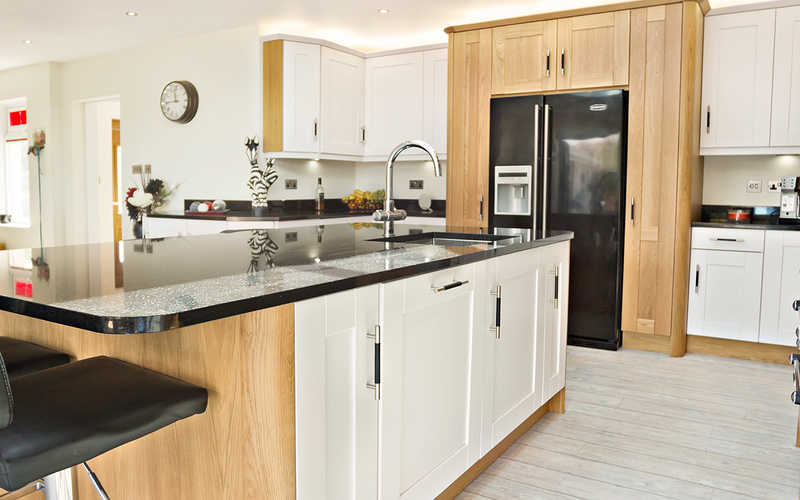 Our kitchen units are 18mm throughout, including backs, because we refuse to compromise on quality. 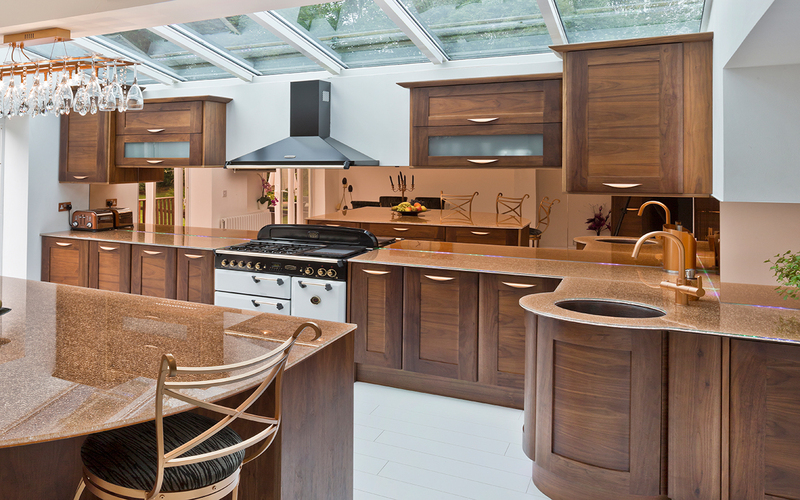 Why not get in touch to discuss your next project? 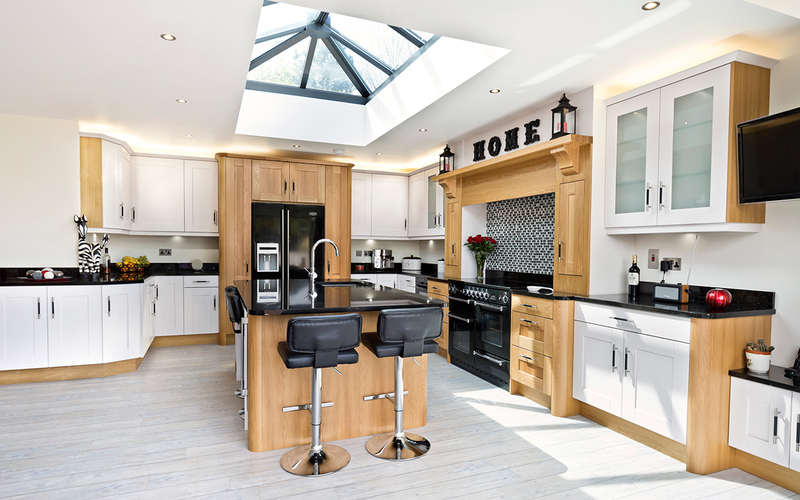 Our friendly and knowledgeable team is on hand to advise and answer any questions you might have. 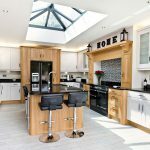 We’ve helped architects and contractors on some pretty unique projects in the past, so chances are – we might be able to provide a unique solution to any problems you encounter.